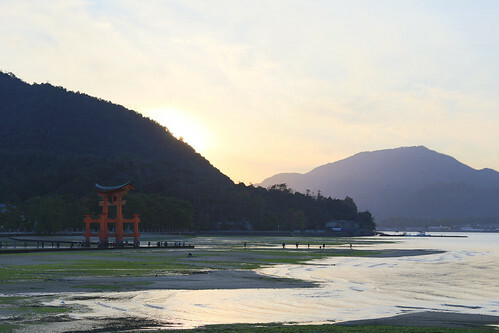 Miyajima Island is a popular day Trip from Hiroshima for those who like to get away from Japan’s urban landscape to walk in a more green environment, as well as seeing the O-Torii (Grand Torii Gate) at high/low tide. 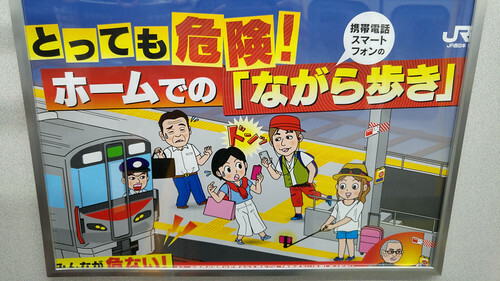 From Hiroshima we caught the JR West Sanyo Line to JR Miyajimaguchi station. 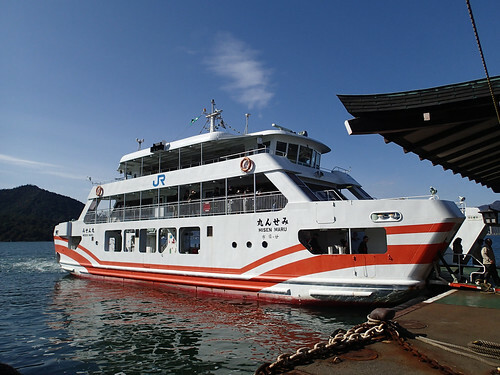 Then we walked a minute to the port where a JR Ferry (free for JR pass holders) took 10 minutes to reach Miyajima Island. Beware of the deer which walk near the ferry terminal, they will try to find food in your pockets. They’ve been fed too much by tourists so are quite aggressive. 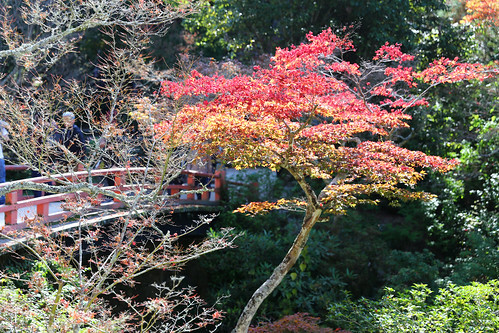 During the October/November Koyo autumn leaves season you may spot brilliantly coloured foliage as you walk up to Mount Misen. 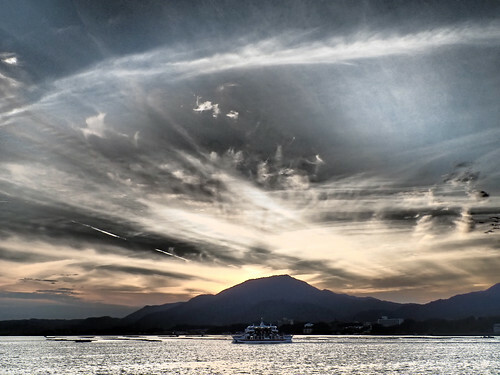 According to Japan Guide: at 500 meters above sea level, Mount Misen (弥山) is the highest peak on Miyajima. 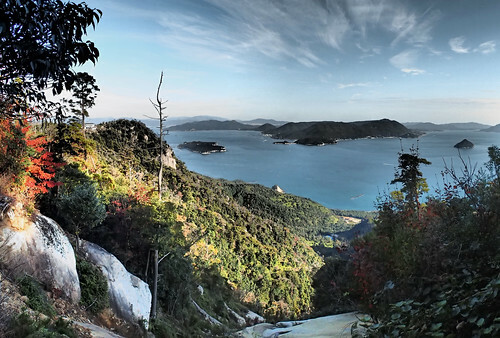 On clear days, it affords spectacular views of the Seto Inland Sea and as far as Hiroshima City. There are also a number of Buddhist structures near the peak. 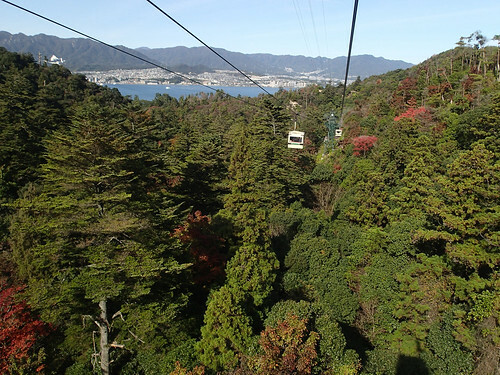 A ropeway leads up the mountain from town, but it is also possible to climb up on foot. 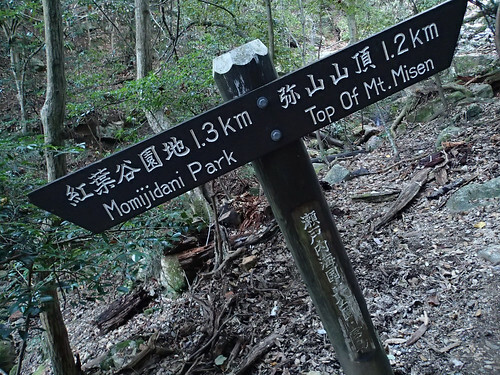 There are three hiking trails leading up Misen: the Momijidani Course, the Daisho-in Course and the Omoto Course. Of the three, the Daisho-in Course offers the nicest views and is not as steep as the other two. 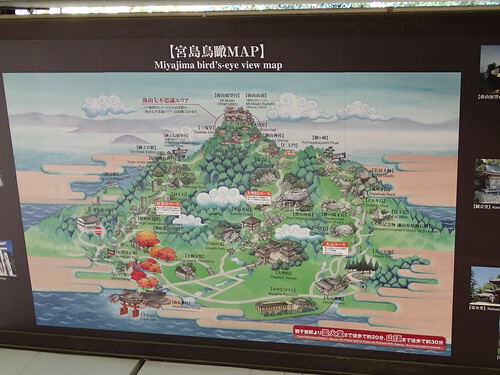 The Momijidani Course, while the shortest, is also the steepest, leading mostly through the forest. Using any course, it takes 1.5 to 2 hours to reach the summit from town. 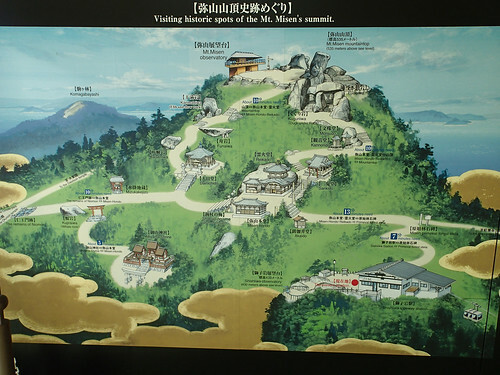 It is said that Buddhism was first practiced on Mount Misen by Kobo Daishi, the founder of the Shingon sect and one of Japan’s holiest religious persons. Near Misen’s summit stand several temple structures which belong to Daisho-in Temple at the base of the mountain. 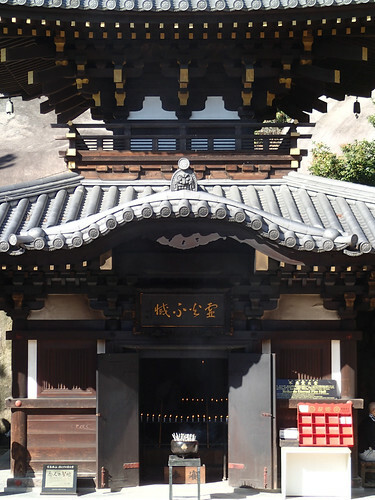 Of particular interest are the Misen Hondo (Misen Main Hall) and the Reikado (Hall of the Spiritual Flame). 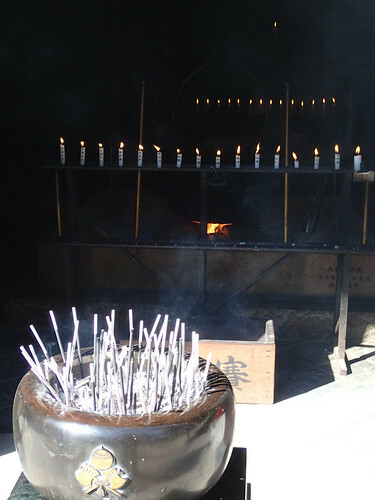 The latter protects a flame, which Kobo Daishi is said to have lit when he began worshiping on the mountain. 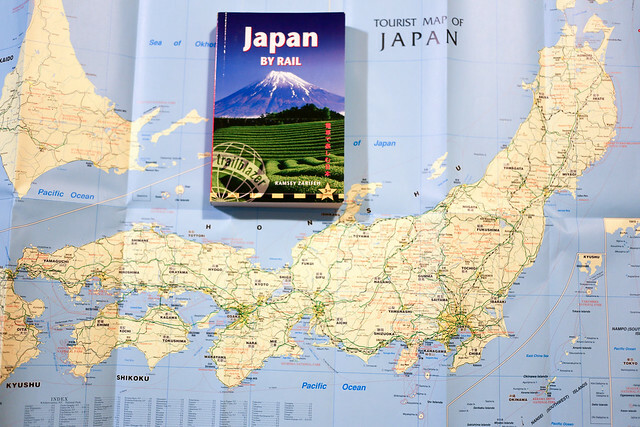 It has been burning ever since, and was also used to light the Flame of Peace in Hiroshima’s Peace Park. 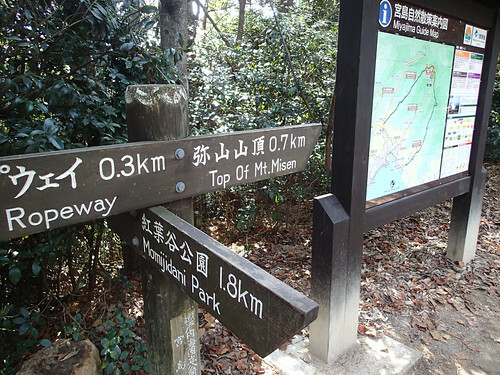 As you get closer to the top of Mount Misen on a clear day you’ll be able to see more of the coast of Japan. 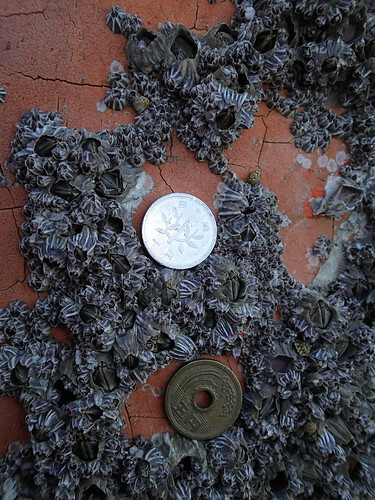 Back at the the ferry terminal we had timed our visit so we could walk to the O-Torii (Grand Torii Gate) at low tide, where we discovered it was covered in coins and barnacles. 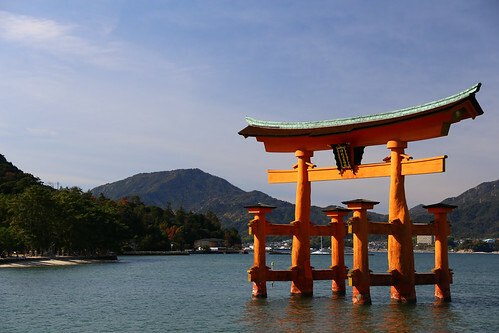 According to Japan Guide: Because the experience of Itsukushima Shrine involves the water over which it is built, it is good to be aware of the timings of the tides during one’s visit. 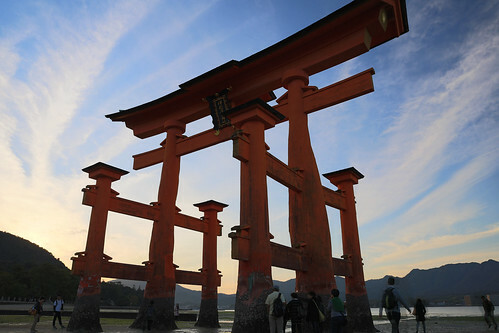 At high tide the shrine and its gate appear to float above the water, and this is certainly the time at which they are most picturesque. At low tide, the water drains out of the bay. This is when visitors can take the opportunity to walk out and see the gate from up close.